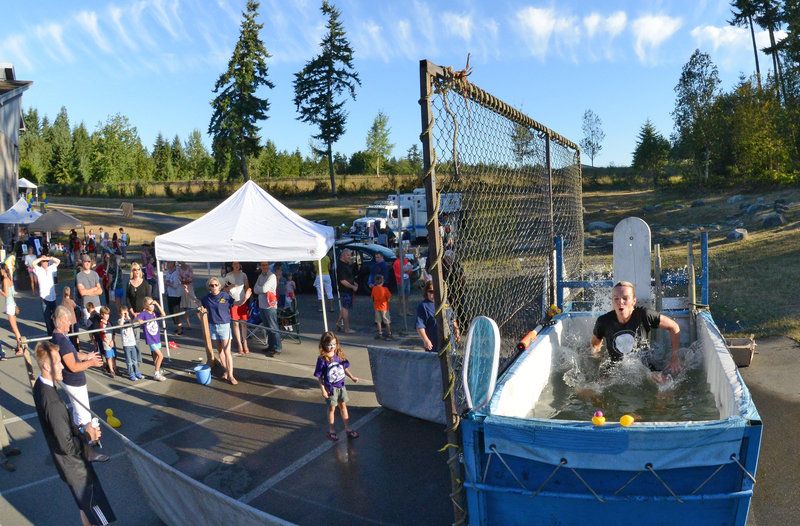 In this podcast, Bainbridge Island Police Officer Carla Sias describes the department’s annual National Night Out event. Carla is the annual organizer of the event. 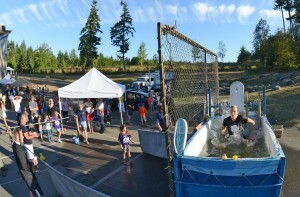 At the Bainbridge Island National Night Out, the dunk tank features City and School officials and community celebrities. It takes place Tuesday, August 5th, from 5 to 8pm, outdoors at the Sakai Intermediate School, and its free for the whole family. a Fire Dept vehicle – use the hose! There’s also free food (such as hot dogs, popcorn, ice cream, sno-cones, cotton candy. And there will be free prize giveaways such as: an iPod; an ADT security installation; a Best Western overnight stay; some BonBon candy; and more. The underlying theme of these celebrations is crime-prevention. It occurs in 16,000+ communities in 50 states and military bases worldwide. 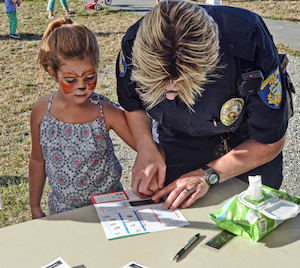 It provides an important opportunity for citizens to send a powerful message about neighborhood unity, safety, awareness, and police-community partnerships. 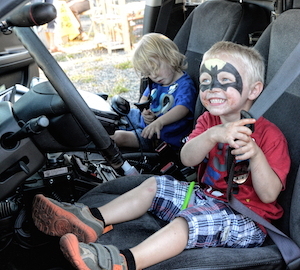 At Night Out, kids can climb aboard a police car, fire truck, police boat and more.